The club held a fantastic Dinner Dance event at The Claddagh in Hendon. Enjoyed by all sections of the club with the previous seasons successes reflected upon. The club would like to thank all the guests who attended, including John Lacey, Lucia Butler and Joe Fryday and recognise the award recipients: Tony Griffin-Club Person of the Year, Jason Maguire-Senior Player of the Year and Brian Foody-Senior Player’s Player of the Year. The work of various committee members was magnificent as was the venue and staff at The Claddagh which combined to make it a memorable event. Football began across the club this weekend. The u14 and o14 girls had convincing victories against TCG, well done and a great start to the season. The senior men won their game against St Kiernans 2-11 to 0-11 and look forward to their next game. The U11’s have begun their first blitz’s in this new age group and will be in action in the forthcoming week; as will the U15 and 17’s and also a team to participate in the Conrad Ryan London U14 competition. 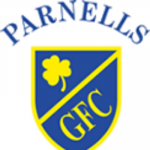 Parnells continue with the Gaelic 4 Girls programme, 6.30 – 7.30pm at Harrow Rugby Club (HA7 4LF). Open to girls’ age 8-12yrs. Contact Maggie O’Rourke (07935 822730) or Monica O’Sullivan (07931 900647) for details. All newcomers welcome. The U14/16 are also at the same venue from 7pm, contact Liam Taylor (07500 464044) and Liam Moffatt (07792 240805). Seniors currently training on a Wednesday 7.30pm onwards, U13-U17 Tuesday’s 5.30-7.30pm and U15 on a Thursday at the same time; all at Northwick Park. Contact Dennis Diggins 07768 352680 (Senior), Tony Griffin 07966 160999 (Youth U13-U17). U6-U11 6.30pm on a Wednesday at Harrow Rugby Club. The Youth’s U12/13 ‘Trip to Tipp’ is all set to go. Flights booked and the exciting and packed itinerary in place which will be available soon. The club would like to extend their condolences to Sean, Irene, Ruairi, Joe and Ellen O’Connor and extended family on the recent passing of Kathleen O’Connor (mother, grandmother and great grandmother). ‘Kath’ hailed from Turners Cross, Cork City but lived in London for many years before returning to Kells, South Kerry with her husband John (founding member of The Kingdom GFC). Aged 91, she fought a long illness bravely and with dignity. May she rest in peace.